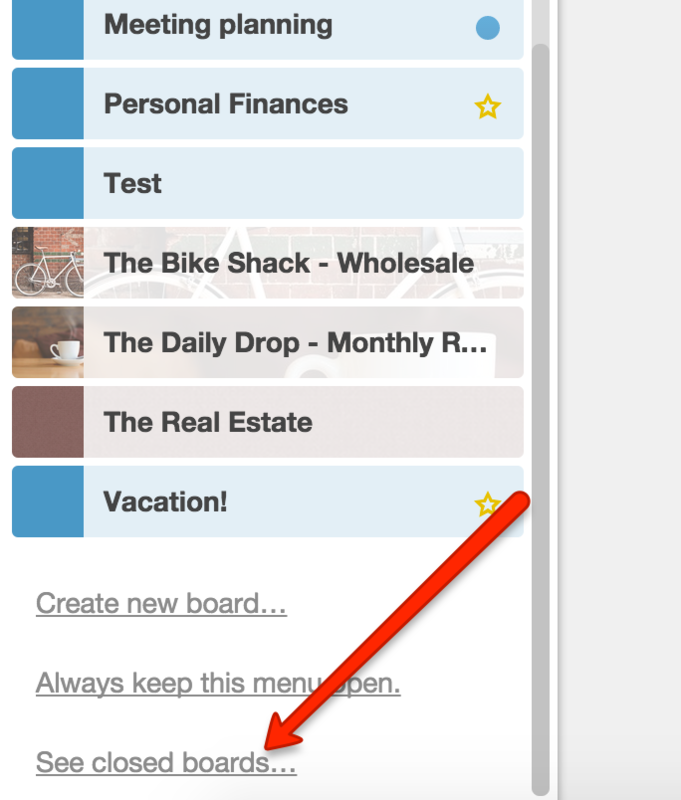 Re-open a board by clicking the "Boards" menu in the header and selecting "See closed boards..." Find the board and click "Re-open". You will need to have been a board admin to reopen a board. Reopen closed boards from your boards drawer.